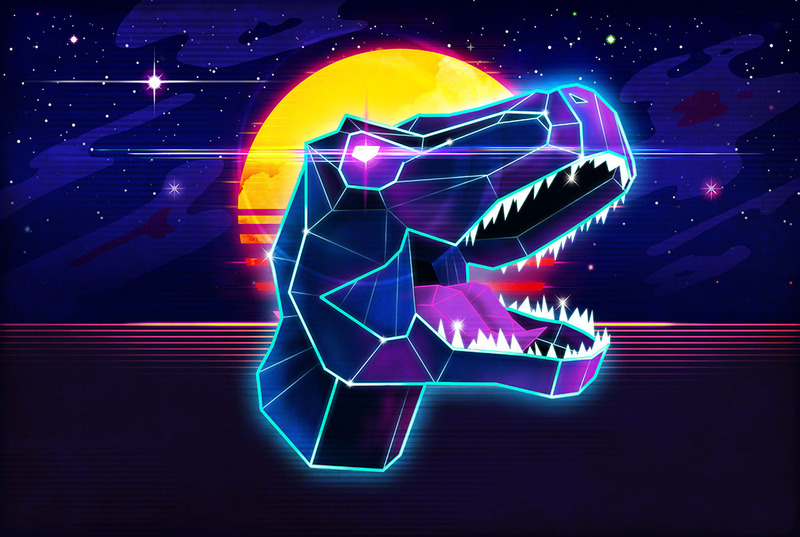 Electric Jurassic Rex – Dominate the Planet! The 1980’s inspired electric neon Outrun artwork continues! What better than a T-Rex, glowing in all of it’s Jurassic glory? This print is available in two different formats, landscape without text, and portrait with text. The first of a series, no doubt! Inspired by such artists as Signal Noise and Grimlock from The Transformers. 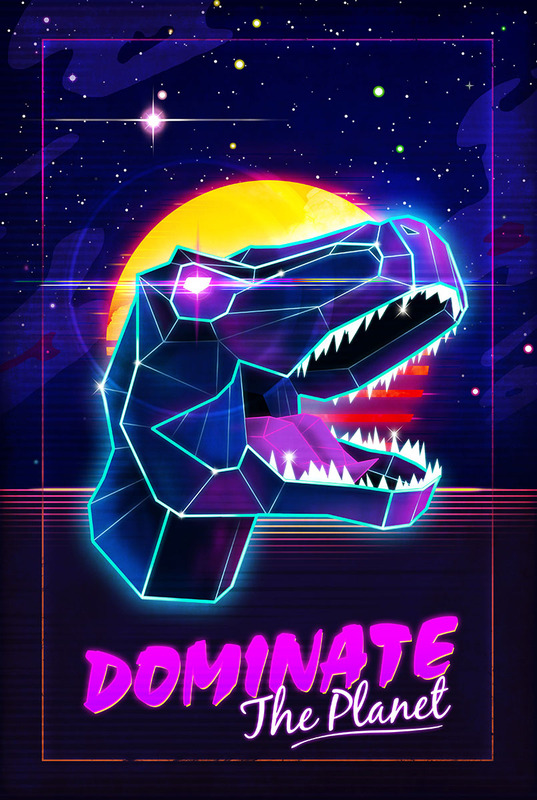 Dominate the Planet – get it today on Red Bubble! Get in touch with me now to begin your project. Please email me or use my contact form to get in touch with your details today! Visit Sam Perkins-Harbin's profile on Pinterest. View my Resume on Indeed.com. Copyright © 2019 Forge22 Design.